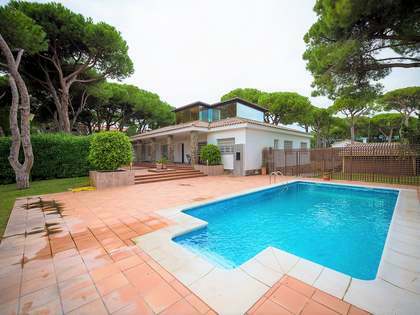 Villa to renovate with a garden, pool and lots of privacy, for sale two streets back from the sea, in the exclusive area of Castelldefels Playa. 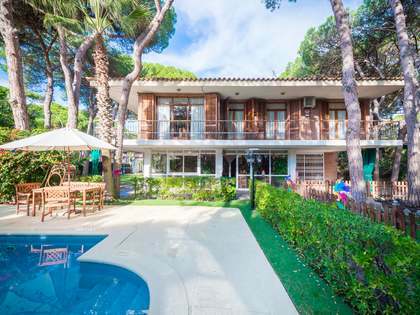 This villa currently has a built area of 450 m² and could be extended up to 688.5 m². 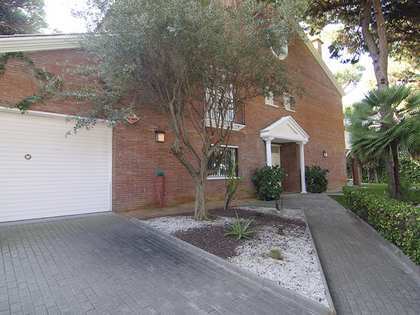 It is located two streets back from the sea in the exclusive area of Castelldefels Playa, very close to all services, the best international schools and public transport. The villa is set on a plot of 1,377 m² with a garden with a barbecue, fronton court, a private pool with a bathroom, and several adjoining buildings such as the garage and a storage room formerly used as a gym. The house, which requires full renovation, is distributed over 3 floors. Access is on the ground floor where a hall leads to the spacious living room with a fireplace and access to the garden. Next we find the kitchen with a pantry and the service area with a bedroom and bathroom, the service area is also accessed from the rear of the property. A double bedroom completes this floor. The first floor consists of 3 double bedrooms, one has an en-suite bathroom and the other two share a bathroom, as well as access to a terrace. The upper floor offers a very spacious bedroom with en-suite bathroom and access to a private solarium. An excellent option for those seeking a property to renovate in an exclusive location. Contact us for more information or to arrange a viewing. 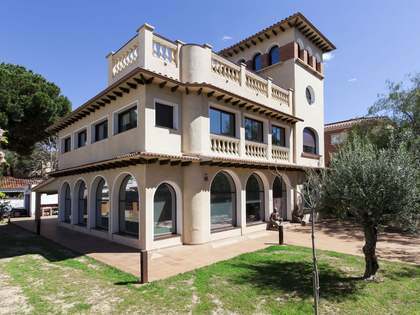 Property located in the best residential area of Castelldefels Playa, 2 streets back from the sea and with all services within reach, such as restaurants and shops. 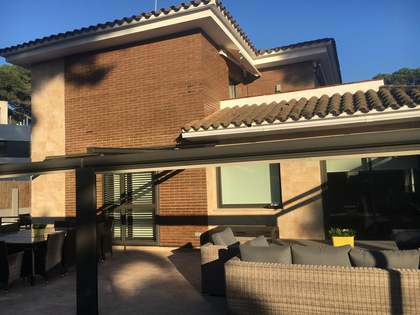 It is a few meters from public transport, with services to the centre of Barcelona, 6 minutes from the airport, 20 minutes from the centre of Barcelona and 8 minutes from the best international schools.